Emerson-Garfield Neighborhood (see map above; click for a larger view) is one of the cornerstone neighborhoods of Spokane — rich in tradition, history, and community. It is home to Emerson and Corbin Parks as well as the North Monroe business corridor and its locally owned small businesses specializing in retro fashion and furniture, antiques, and collectibles. The neighborhood is in Spokane City Council District #3 and is currently represented by Councilwomen Candace Mumm and Karen Stratton. 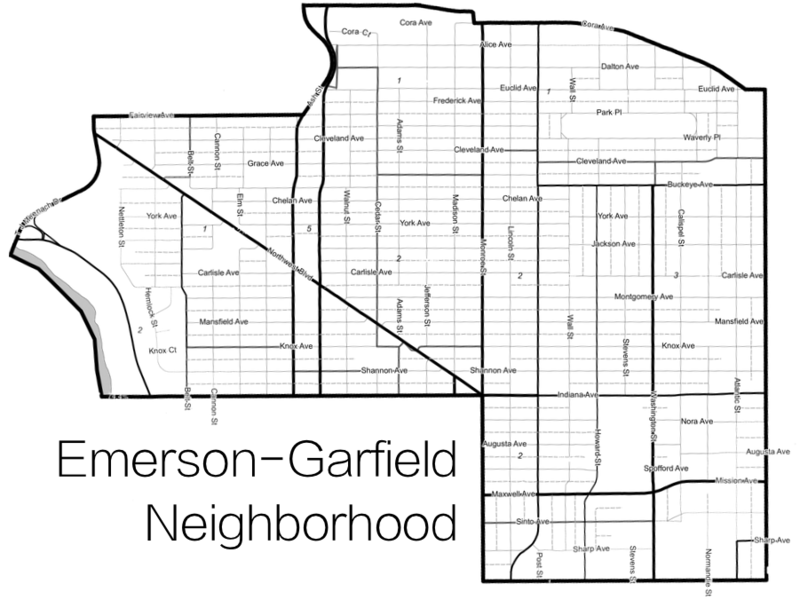 The Emerson-Garfield Neighborhood Council (EGNC) meets on the second Wednesday of the month at 6pm at the Corbin Senior Center (827 W Cleveland) unless indicated otherwise. The August meeting starts with a neighborhood picnic in either Emerson or Corbin Park and the December meeting includes a holiday potluck. Any resident of the neighborhood can participate in the neighborhood council and is encouraged to become an active member. The EGNC is actively working with outside organizations to guide the North Monroe revitalization project in a way that will benefit area residents and businesses and help Emerson-Garfield flourish in the long-term. For an overview of Emerson-Garfield’s demographics, property values, economic trends and more, visit the City Data page.